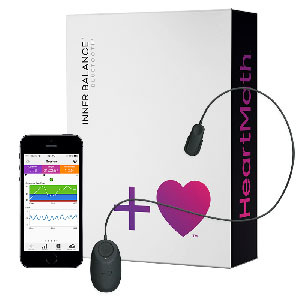 We highly recommend HeartMath emWave and Inner Balance products to facilitate self regulation for professionals and their clients. HeartMath has developed a science-based technology to help us regulate our stress response systems and achieve coherence through biofeedback. They have a number of products to suit different purposes and needs. Click on any of the products below to learn more or to purchase with applicable discounts. Take charge of how you feel! 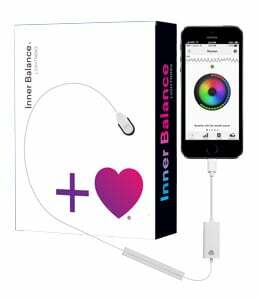 The Inner Balance™ Bluetooth sensor for Android and iPhone trains you to shift and replace emotional stress with emotional balance and coherence. emWave(R) technology is an innovative approach to improving wellness and facilitating personal growth based on learning to change your heart rhythm pattern to create coherence; a scientifically measurable state characterized by increased order and harmony in our psychological and physiological processes. 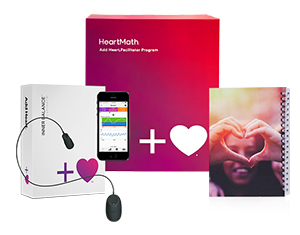 HeartMath’s emWave(R) technology is an innovative approach to improving wellness and facilitating personal growth based on learning to change your heart rhythm pattern to create coherence; a scientifically measurable state characterized by increased order and harmony in our psychological and physiological processes. 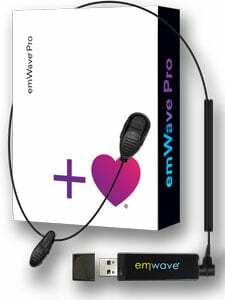 emWave Pro is a unique training system that objectively monitors your heart rhythms and displays the physiological level of coherence, an optimal state physiological state shown to prevent and reduce stress, increase resilience, and promote emotional wellbeing.